Gluten-free pork dumplings? Yes. It is possible! Happy Chinese New Year! Last week, I went over to my friend’s house to drink coffee and get a pork dumpling lesson. There are a few foods that I really miss since becoming gluten-free and Chinese dumplings are definitely one of them. Traditionally, dumplings are made with a small wrapper made from flour. I searched and searched for a gluten-free dumpling wrapper recipe but they all looked far too time-consuming. At the 11th hour, no luck with a make-your-own gluten-free dumpling wrapper option, I grabbed a package of rice paper wrappers from the cabinet as I walked out the door to my dumpling lesson. Rice paper wrappers are great for spring rolls. My kids love dipping the rice paper in warm water and making their own tasty dinner creations. You can find them at many grocery stores or even online. Fingers crossed, I hit the road, dumpling ingredients in one hand, a baby carrier in the other. The beauty of a one-month old who doesn’t sleep much at night? He is awfully tired during the day… I knew my cooking project would probably be uninterrupted. Dumplings are shockingly easy to make – ground pork, napa cabbage, green onions, soy sauce (or Tamari), and sesame oil plus wrappers. I picked up some ground pork from one of my favorite local grocery stores. I called the meat department ahead of time to see if they had any ground pork… they did not, but they offered to grind some for me and have it ready (three cheers for the Earth Fare grocery store butchers!). Be warned, ground pork is a little bit hard to come by but your butcher can make some up for you if you ask nicely. We started by combining our ingredients for the filling in one large bowl and then set that aside while my friend prepared her traditional dumpling wrappers and I held my breath and got out my rice paper wrappers. I picked these rice paper wrappers up at my local Harris Teeter. And, like I mentioned before, you can buy the same ones online – or even in a square size. Since these rice paper wrappers are so big, I decided to cut them in half so that they were more like the size of the traditional dumpling wrappers. 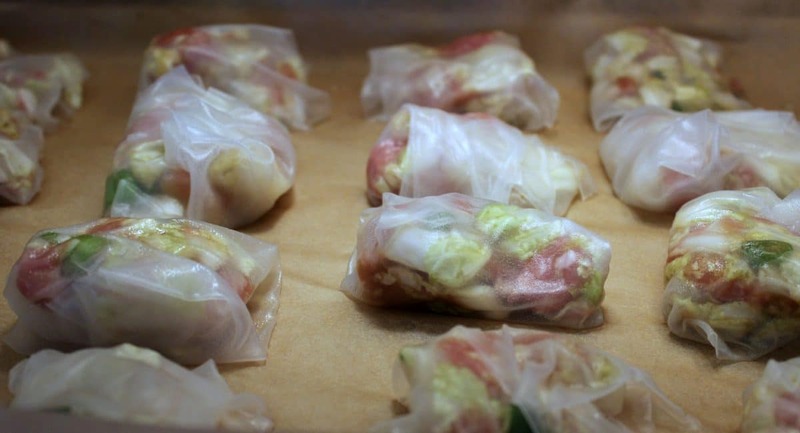 If you’ve never used rice paper wrappers before, they are such a cinch to prepare. All you need is a bowl of hot water. That’s it. 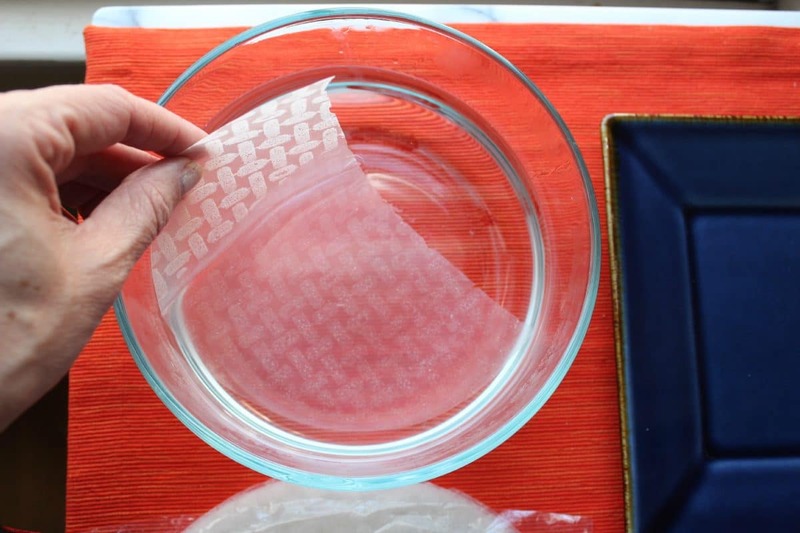 Take your rice paper wrapper – or, in this case, your 1/2 of a rice paper wrapper and dip it in the hot water until it becomes soft and stretchy. 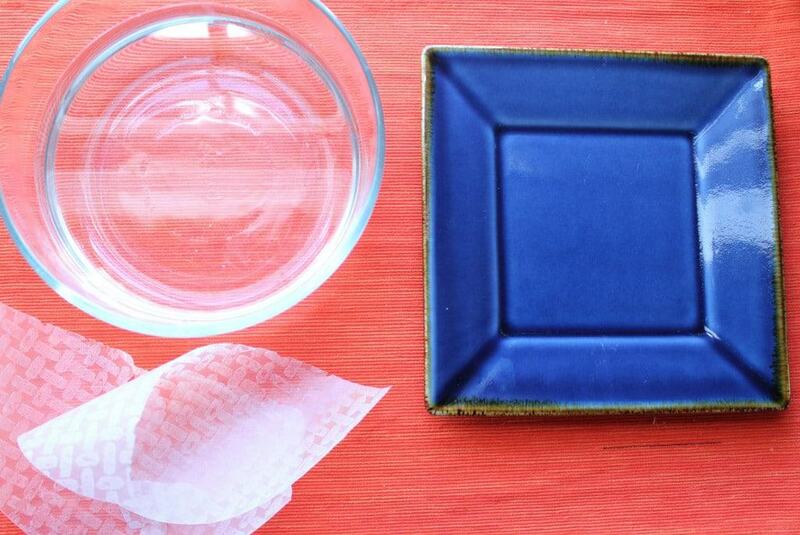 You only prepare one wrapper at a time – dip it in water, fill it, wrap it. Repeat. Lay out your stretchy rice paper wrapper and scoop your filling into the center of the rice paper – a small amount – just about one tablespoon – and then fold up your rice paper around it, sealing in the filling. I will warn you that some dumplings looked prettier than others… If the rice paper tore in the process and I could not contain my filling, I just wrapped it with a second half of stretchy rice paper. When I cooked the pork dumplings, the double layered dumplings tasted just as good as the single layered dumplings. Don’t stress if you have some wrapping issues. As you finish each dumpling, lay your dumplings on parchment paper on a cookie sheet. If you aren’t ready to cook them yet, keep them in the refrigerator or the freezer. They freeze really well! I cooked up most of my two pans of dumplings but saved out six for the freezer so I could make myself a meal on another day. When you are ready to cook your dumplings, the traditional methods are either steaming or pan frying. I tried both ways and they were both a hit. 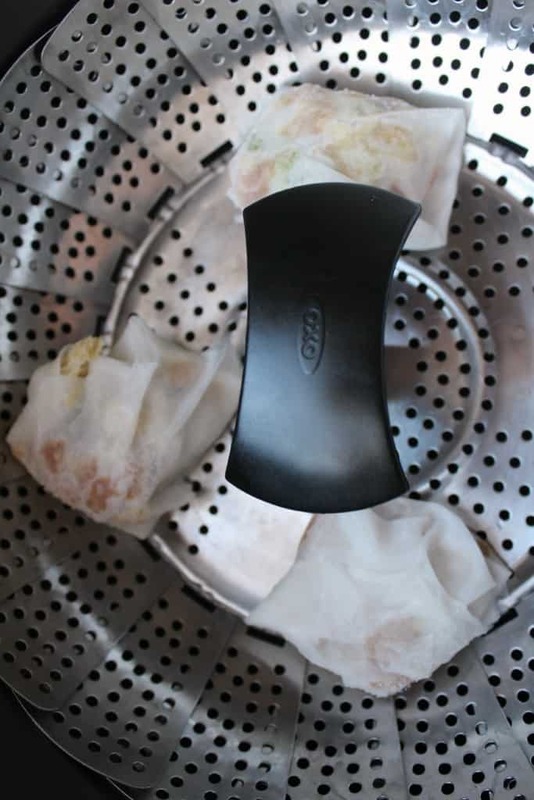 I used my OXO veggie steamer to steam my dumplings – just spray the steamer with a non-stick cooking spray before you put the sticky rice wrappers down. To steam, put your steamer in a pot and pour in enough water to touch the steamer but not touch the food. Bring to a low boil, put the dumplings on the steamer with a little space between each one and cover the pot. Steam the dumplings for about 15 to 20 minutes. For the pan fried dumplings, I heated up a little sesame oil in a large pan and added the dumplings – cooking about 4 minutes per side. You can pan fry two different ways – you can cook the dumplings for a few minutes on both sides OR you can cook the dumplings for 2 to 3 minutes, browning the bottoms, and then add about 1/2 cup of water to the hot pan and quickly cover so the steam is trapped. Cook for about 6 or 7 minutes until the water has been cooked off and the dumplings have cooked through. So get to it! These homemade, gluten-free pork dumplings would be a perfect way to celebrate the Chinese New Year… Enjoy! Yes. It is possible! 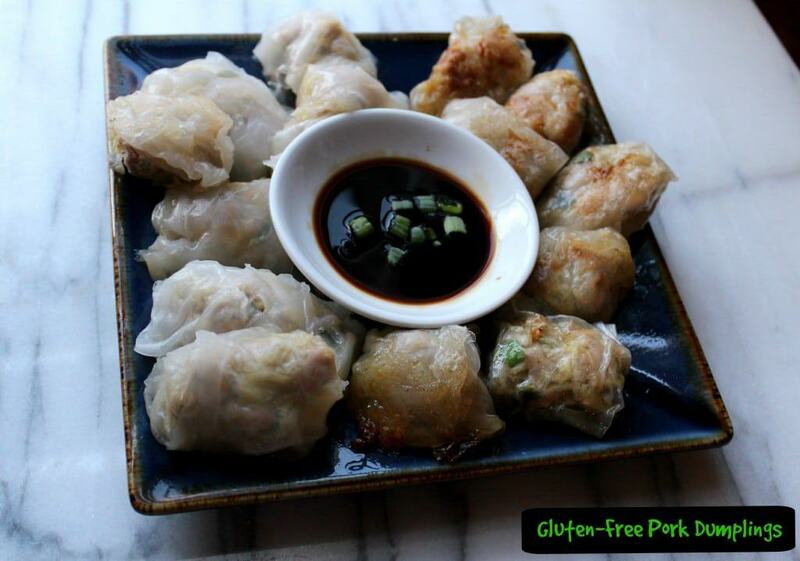 Gluten-free dumplings made with rice paper wrappers. 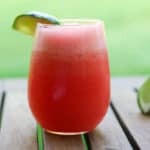 So simple, very tasty - enjoy! Combine ground pork, shredded cabbage, green onions, Tamari sauce, sesame oil, and grated ginger in a large bowl. Set aside. 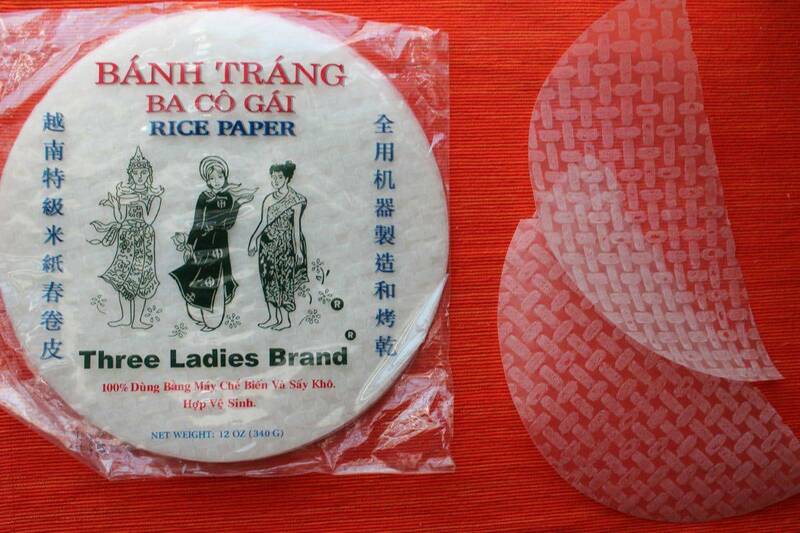 Cut rice paper wrappers in half using kitchen shears and dip one at a time, as needed, into a bowl of very hot water. Lay the stretchy rice paper wrapper on a flat surface and put about 1 tablespoon of pork filling in the center. Fold the stretchy rice paper wrapper around the pork filling - making sure that the filling is sealed inside and won't come out when you cook the dumpling. Lay the dumplings on parchment paper on a cookie sheet. To steam the dumplings - put a veggie steamer in a large pot, add about 2 inches of water and heat to a low boil. Spray the veggie steamer before adding the dumplings. Steam the dumplings for about 15 to 20 minutes. 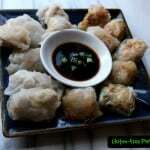 To pan fry the dumplings, heat about 1 to 2 tablespoons of oil - vegetable, peanut or sesame oil - in a heavy bottomed pan. Add the dumplings - seam side up - and cook for about 2 to 3 minutes until the bottom browns. Carefully add about 1/2 cup of water and quickly put the cover on the pan. Let the dumplings finish cooking by steaming them for about 6 or 7 minutes until almost all the water has cooked off. Remove the dumplings from the pan and place them on a couple of sheets of paper towels to absorb any excess oil. To freeze the dumplings - before cooking, lay the dumplings on parchment paper on a cookie sheet and refrigerate until firm. 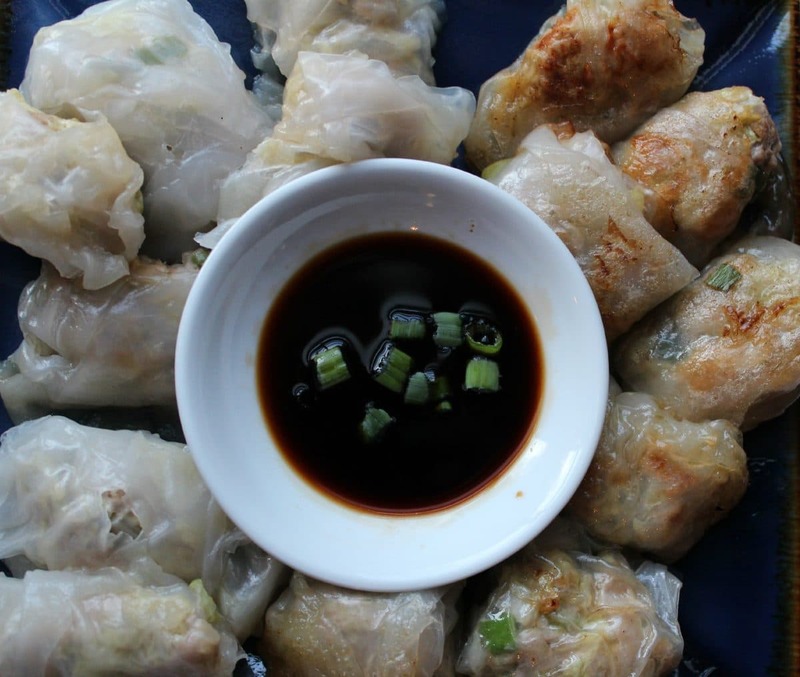 Keep the dumplings on the parchment paper and place in layers in a large gallon-size freezer bag. Store flat in the freezer. Yum, I could eat the mess out these babies! I’m lucky enough to have ground pork available at my local markets all the time, so I can see myself whipping up a batch of these soon. Thanks, Heather! Love that you have ground pork available all the time. I was surprised that it was a little tricky for us to find it. 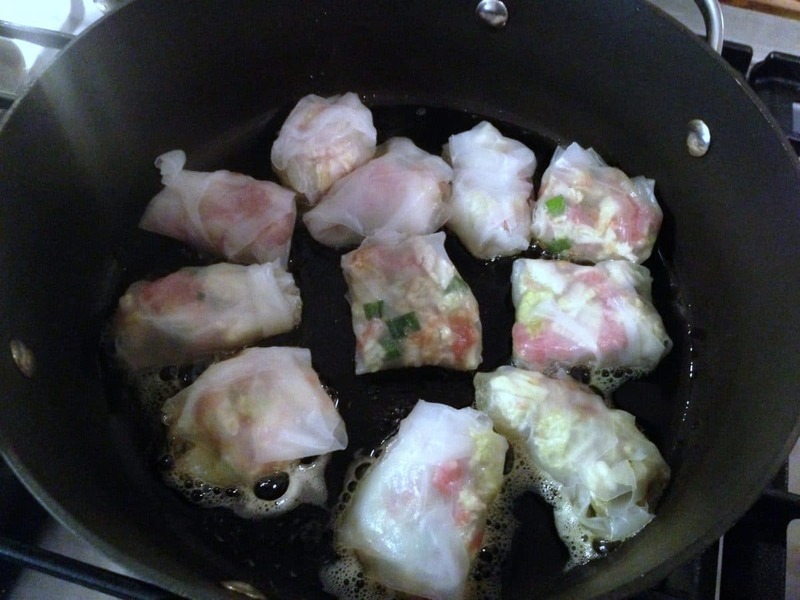 Kristen was just asking on my pork dumpling recipe about a GF version, and I wondered if rice paper wrappers would work. I’ll add a link over here–I’m glad that you could enjoy dumplings! I’d like them fried, because I like that crispy edge. Thanks, Kirsten! I’m partial to crispy edges as well. 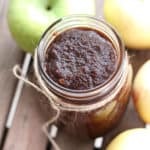 Thanks for sharing the link to this recipe! I don’t follow a gluten free diet, but have used and enjoyed rice paper wrappers in summer rolls. Using them in dumplings is a great idea, and one I hadn’t thought of. 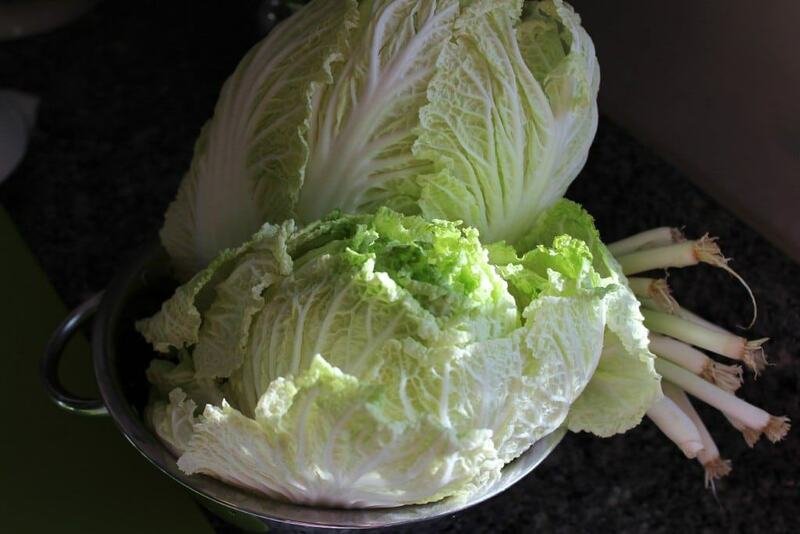 I love Napa cabbage and steamed dumplings are so much better than fried – so this looks like a winner to me! Thanks, Laura! We try to keep rice paper on hand for summer rolls as well. 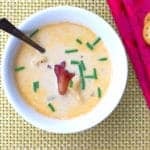 I love when an ingredient is good for everyone – not just good if you’re gluten free! Any kind of dumplings and I am all in! I never would’ve thought to use the rice paper though, great idea for my gluten free friends! Thanks! These were devoured pretty quickly. My kids immediately started discussing other fillings we could put in these dumplings! I definitely see more dumpling varieties in our future. Such a lovely looking dish! 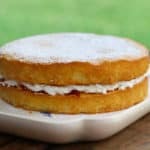 My best friend is GF so I know she would love if I made these for her….yum! Mine fell completely apart in the cooking process. The ones I steamed, fell apart upon taking them our of the pot and the fried ones well apart when flipping them. Ugh! Hate to hear that! Were they pretty well sealed when you began to steam them and fry them? I had a couple of them tear if I didn’t take them out gently but most of them survived. I didn’t use a nonstick pan for the frying and they were really bad in that frying pan. The ones I steamed were a bit better, but still very fragile. There really is no binding agent to keep the rice wraps together. When you use rice wraps to make spring rolls they start out wet, but turn a bit sticky as you wrap them and they dry off. In the steamer, they were pretty damp when they were finished and basically fell apart on me. I think I may just make gf pork dumplings in a meatball style(which is how we ate them anyway) and skip the wrap. Thanks for the feedback! When I wrapped them, I felt like the sides sealed by sticking to themselves but I had to be gentle when I removed them from the pans. I tried the fry/steam method and the bottoms were great but the tops were really soft and gummy. Would it be better to flip and fry on top after steaming for a short time? If you can gently flip the dumplings after you have fried the bottoms, go for it! I only fried the bottoms because I felt they were too delicate to flip. This is definitely a very nuanced cooking project! 🙂 But, honestly, I miss dumplings so much, I think it’s worth it.